Sarah Hill looks back on the column to see just how many of the Alex Award winners were covered in AB4T and spotlights four can't-miss nonfiction titles. Last month in Atlanta, I had the honor of announcing the winners of YALSA’s Nonfiction, Printz, and Morris Awards at the American Library Association’s Youth Media Awards. Serving as one of the emcees of the “Oscars of the Youth Lit World” was a once-in-a-lifetime event, but I’ll admit that while backstage I was listening carefully to the previously recorded announcement that began the show. Alex Awards Chair Kristen Thorp announced the list of 10 Alex winners, and I was silently thinking, “Yes! AB4T reviewed that one!” and “What? I’ve never heard of that book!” As we promised last March, it’s time for some reflection—how well did Adult Books 4 Teens (AB4T) do picking the winners of the Alex Awards? Last year, the column reviewed four out of the 10 Alex winners and 14 out of the 40 Alex vetted nominations. This year? The column reviewed five of the 10 Alex winners and 11 of the 51 vetted nominations. During this column’s three-month hiatus, two Alex winners and 10 vetted titles were supposed to be reviewed, but unfortunately weren’t. So, I’ll call this year a success! What were the five titles that both the Alex committee and our reviewers thought were perfect for teens? In the Country We Love: My Family Divided, Arena, Every Heart a Doorway, The Invisible Life of Ivan Isaenko, and Romeo and/or Juliet: A Choosable-Path Adventure. I’ll conveniently not discuss at length the AB4T Best Books list, because none of our selections matched the Alex winners this year. I prefer to think it’s because Mark and I were not sitting around the Alex table in Atlanta—pouring our hearts out to persuade our committee members. Last year, our 2016 “That Looks Interesting” list had 482 adult books. Of those, our fantastic reviewers examined 278 titles and reviewed 120, and 97 of those reviews were published in this column. Eighty-seven reviews made it into the print version of SLJ, and I hope that our readers found our lists and reviews essential for collection development. As Mark and I begin our first complete year together as cocolumnists, be assured that we will continue to search for high-quality, teen-friendly materials, like the four curriculum-supporting nonfiction titles reviewed today. 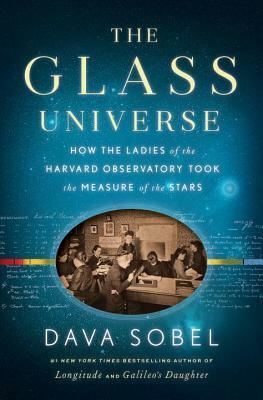 Published in December 2016, Dava Sobel’s The Glass Universe: How the Ladies of the Harvard Observatory Took the Measure of the Stars is too important to not mention, as it highlights women in the astronomical community. 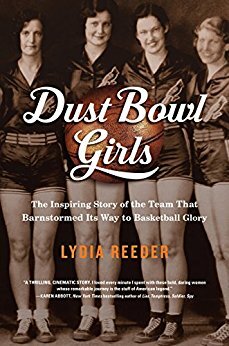 Another title that spotlights achievements of women, Dust Bowl Girls: The Inspiring Story of the Team That Barnstormed Its Way to Basketball Glory, is perfect for sports readers. True crime enthusiasts will be fascinated by the last two titles. 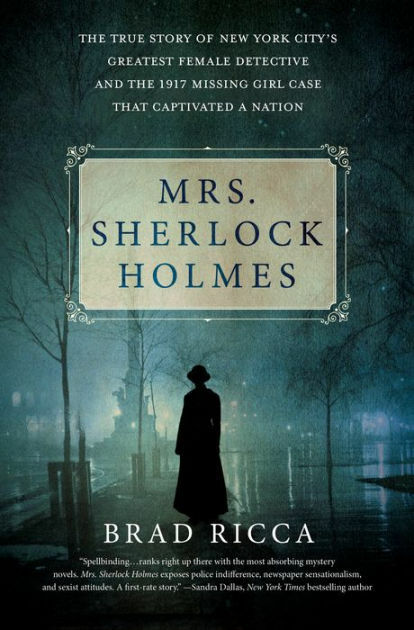 First, Grace Humiston, a female lawyer in the early 1900s, earned the nickname Mrs. Sherlock Holmes for her ability to solve mysteries as she defended disadvantaged clients. I’d like to think that she would have spoken up for Trayvon Martin if she were still alive today. 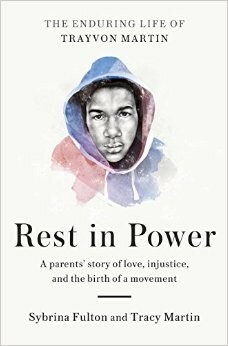 In Rest in Power: The Enduring Life of Trayvon Martin, Trayvon’s parents present the troubles with their son’s murder investigation, all while acknowledging how his death became a call for social justice action. Sarah, What is your criteria for adult books for teens? Hi, Suzanne! 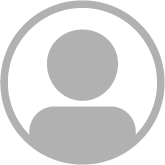 The purpose of our blog is to provide reviews of books marketed to an adult audience that have teen appeal or interest to high school students in the upper level grades for recreational or academic pursuits. We focus on teen appeal like the Alex Awards, but we also want to provide titles that support the curriculum.